AT LEO SILVA HARDWOOD FLOORS, OUR EXPERTISE IS IN EVERYTHING AND ANYTHING TO DO WITH HARDWOOD FLOORS. BASED IN SAN FRANCISCO CALIFORNIA. WE ARE FLOORING INSTALLATION SPECIALIST WHO USE ONLY THE HIGHEST QUALITY OF HARDWOOD FLOORING, SANDYNG SUPPLIES AND FINISHES FOR WOOD FLOORS TO ENSURE YOUR FLOORS LOOK EXACTLY HOW YOU WANT THEM TO, AND TO KEEP THEM LOOKING GREAT FOR YEARS TO CAME. WHEN IT CAMES TO REFINISHING WOOD FLOORS AND WOOD FLOORS REPAIRS, WE AD ALMOS 25 YEARS OF EXPERIENCE BEHIND US AND HAVE SEEN DONE IT ALL. WE GAUGE OUR SUCCES ON THE SATISFACTION OF OUR CUSTOMERS AND STAND BEHIND ALL OF OUR WORK. ACHIEVING THE HIGHEST QUALITY IS WHAT WE DO WHITH EVERY PROYECT WE COMPLETE. AS A INSURANCE COMPANY WE WORK ON BOTH COMERCIAL AND RESIDENCIAL PROYECTS.AND WE WILL GIVE YOUR FLOORING NEEDS . 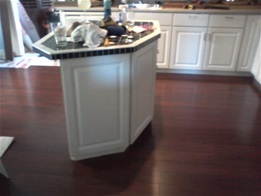 CONTACT US TODAY SO WE CAN HELP YOU TRANSFORM YOU FLOORS WITH HARDWOOD INSTALLATION OR RESTORATION.